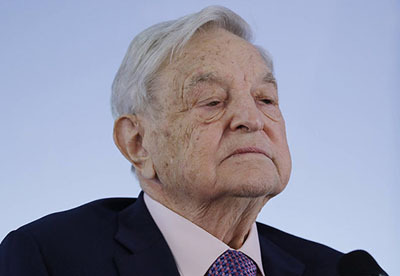 George Soros, who has long been an advocate for open borders and immigration reform, has a long and formidable wall embedded with cameras and security sensors around his massive estate in the Hamptons. It is a magnificent security barrier “that would make Donald Trump dream at night,” a reporter said. The Daily Caller’s Benny Johnson traveled to the posh New York enclave to get a glimpse of the sprawling Soros estate as part of the “Walls Across America” series which highlights “the best walls” in the country.